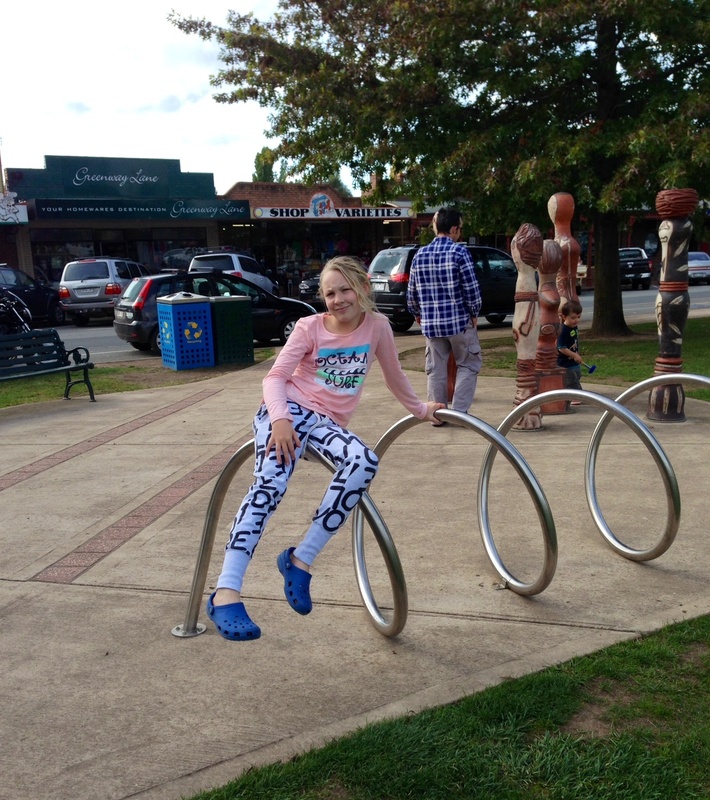 A mini break in Mansfield, Vic. 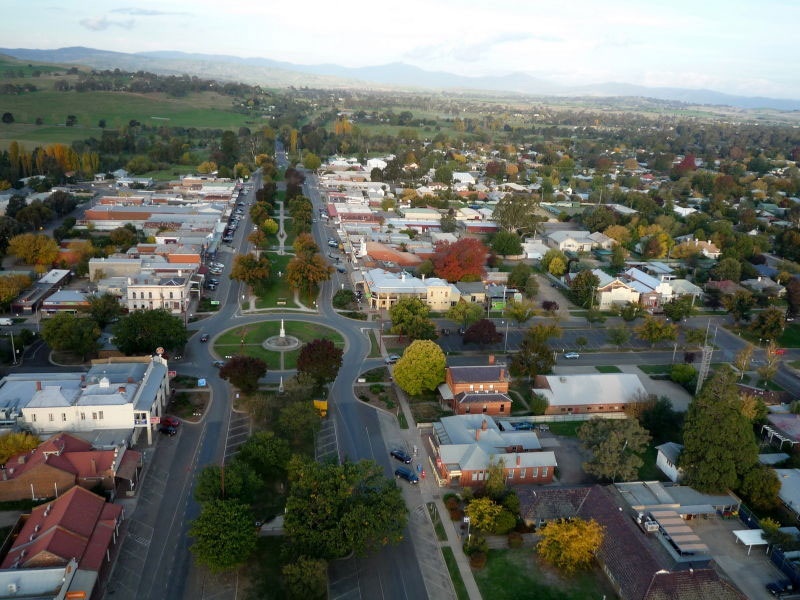 On our way to and from our High Country sojourn, we stopped in Mansfield, Victoria. I had never heard of Mansfield before heading down this way, but it was a bustling, busy little tourist town. Not realising it sat at the Gateway to Mt Bulla and the Victorian ski fields, I thought it was just another little Victorian town. 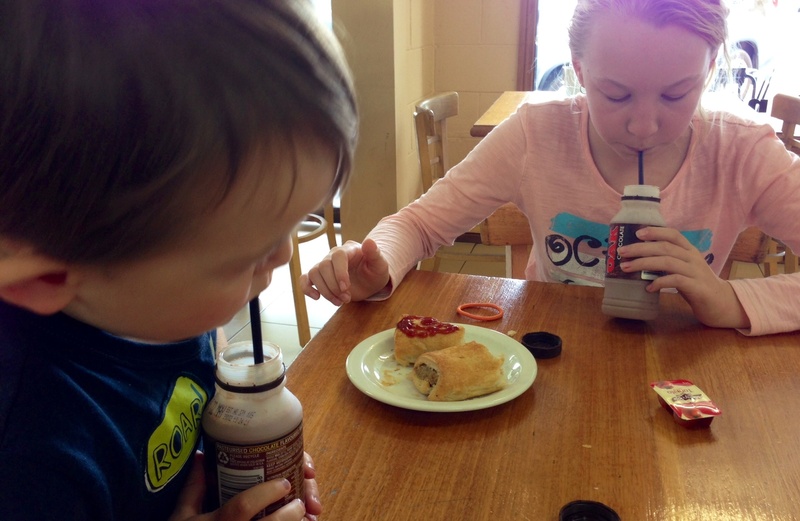 We initially stopped at the bakery, Bertalli’s for lunch – pies, sausage rolls, chocolate milk and a coffee. 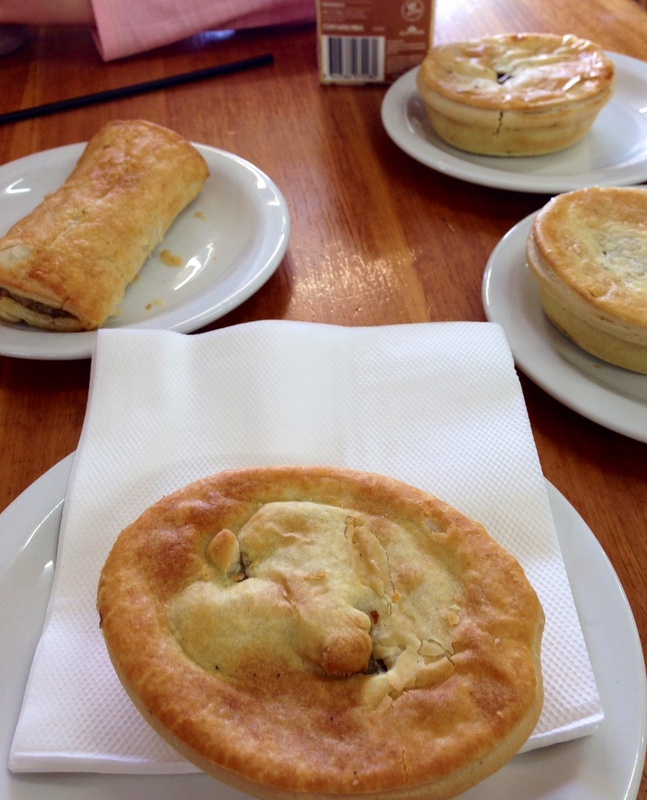 It’s kind of a tradition that SO has started whenever we travel, inland it’s pies at the local bakery, coastal it’s fish n chips at the local fish n chips shop. One of those traditions you hope the kids remember fondly when all grown up. I had my usual chicken pie, and SO had his usual plain ole meat pie. The pies were hot and tasty, nothing standoutish, but they filled the pie gap and we were completely satisfied with our Piestop. We only ever buy the kids one sausage roll, Buddy eats the meat, Tweenie eats the pastry. Economical, they are. The coffee, on the other hand, was woeful. We took a stroll down the Main Street, where I promptly binned it. I dislike paying for bad coffee. SO went off to the car to read maps, and the kids and I went window shopping. The bookstore was the first stop, as Tweenie is obsessed with books. To her chagrin, it was a new bookstore, not a second hand one. Which meant I wasn’t buying. 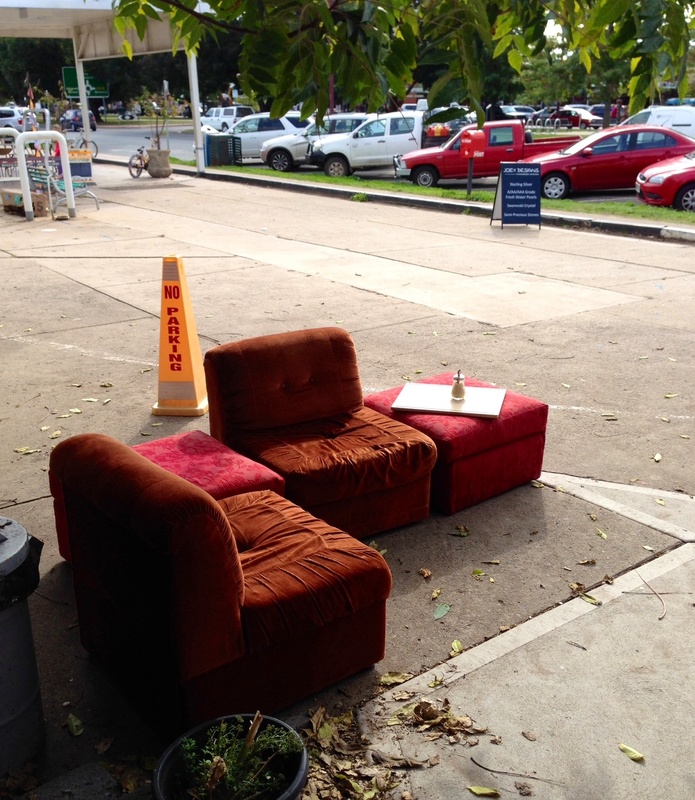 What we found at at end of the street, though, was every child’s fantasy. A lolly shop. 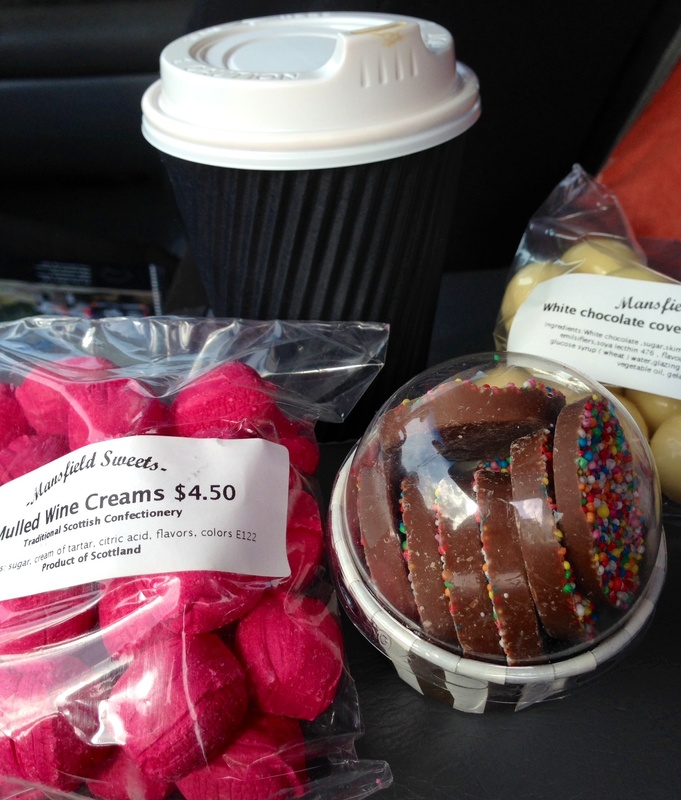 Mansfield Sweets. I really have no self control in these shops. My kids know this and they take full advantage. Those white chocolate raspberries are the biggest and best I’ve ever had, and I’m always on the search for good white chocolate raspberries. The mulled wine lollies taste a little like potpourri, but I shall eat them all. Eventually, once I forget what they taste like. 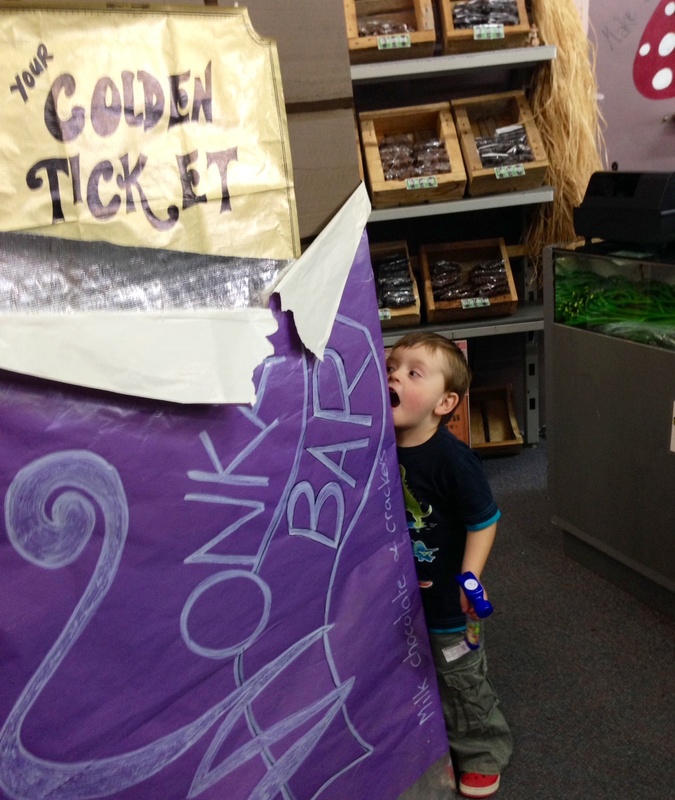 The kids thought the giant Willy Wonka chocolate bar was pretty cool. Me too. At the back of the store they had old cinema seats positioned so the kids could watch the original Charlie and the Chocolate factory, very cool. 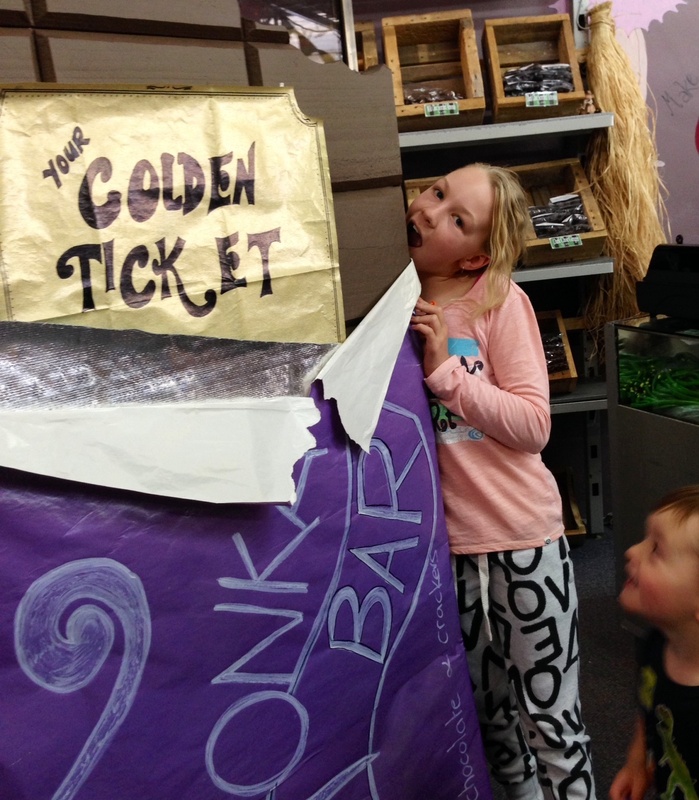 But as if the kids are going to sit there and watch telly whilst there are thousands of lollies to look at, touch, grab, try to lick and goad a candy lovin mother into buying!! Buddy scored himself a hammer filled with candy. SO wasn’t impressed and told the 3 yr old he wasn’t to eat all the candy in one go once we were back in the car. How I chuckled. The kids went for a run through the grassed area in the middle of the Main Street, as it had quite a few touristy type things to check out and climb on. 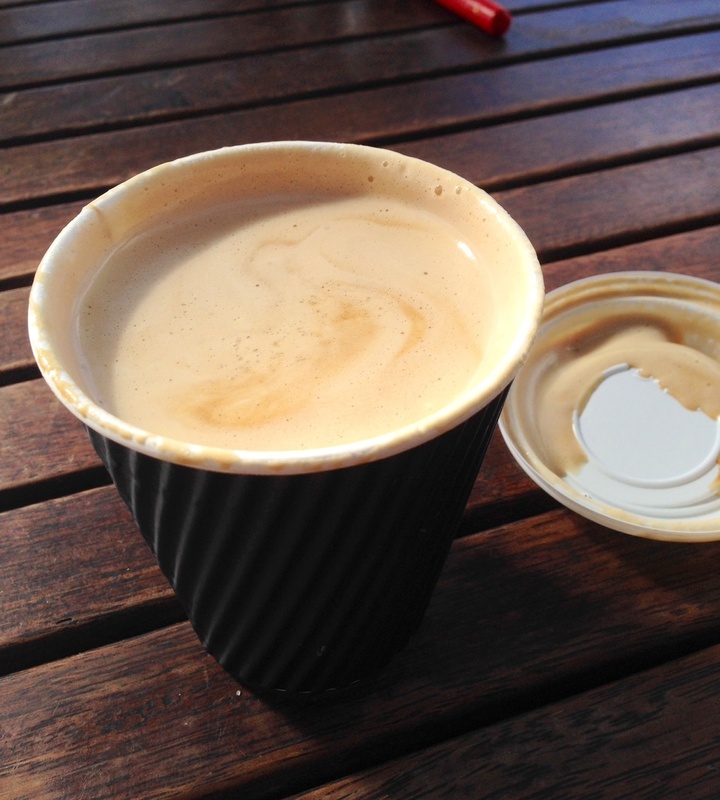 I went across the road to replace my coffee with one from the Witches Brew, it looked very groovy. Vanilla flat white, perfect brew. I decided this was where we were going to stop for lunch on the way back. We had our one night trip in the mountains (post to come), and headed back into dry land with our first stop being Mansfield. 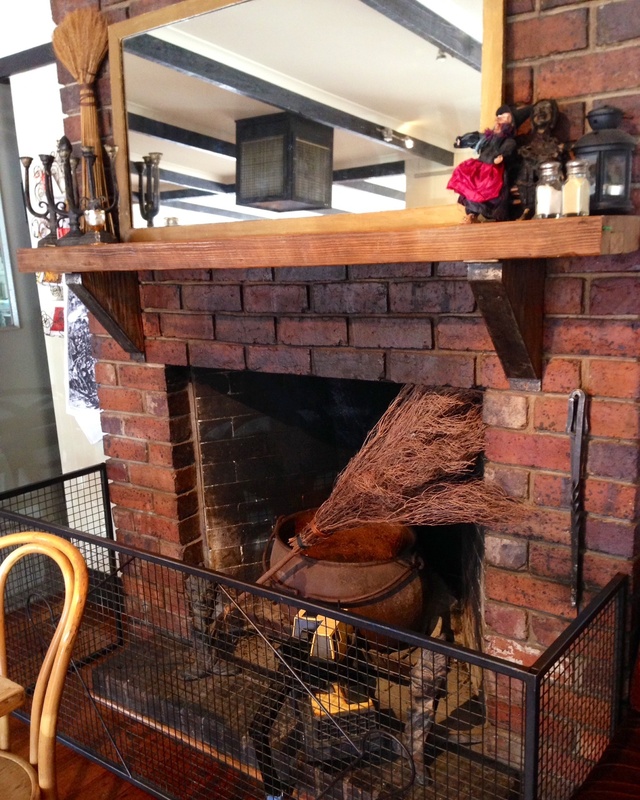 Inside there were a few items lending to the witches theme, this being a working fireplace with witchy stuff. I would’ve like to have taken a few pics of the rest of the inside, but my phone ran out of battery just as we finished up lunch. 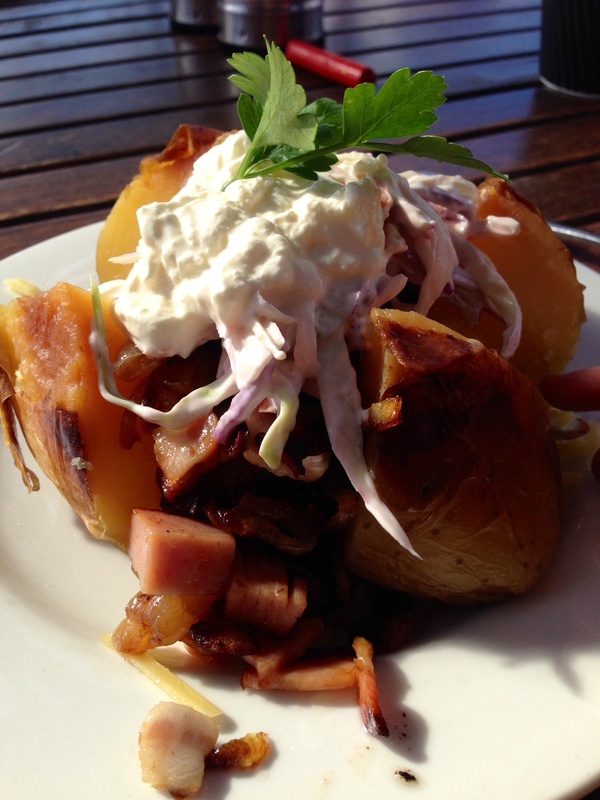 I ordered the stuffed potato with coleslaw, crispy bacon, sour cream and cheese. The potato itself was really well cooked, and the fillings very generous, but, even with the bacon I still needed to season it liberally. Still, after the night I’d had, it was just the thing. 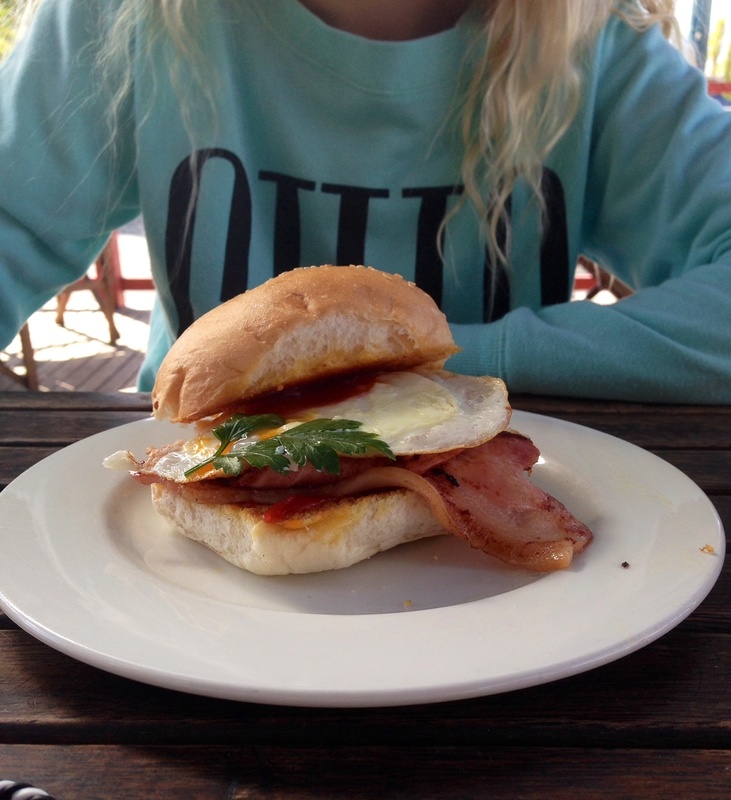 As usual, Tweenie had an egg and bacon roll, which she said was pretty good. The bacon looked a bit flaccid, but she wasn’t perturbed. My coffee, vanilla flat white. No vanilla, disappointing as the first one was so good. It’s still a good coffee brew though. 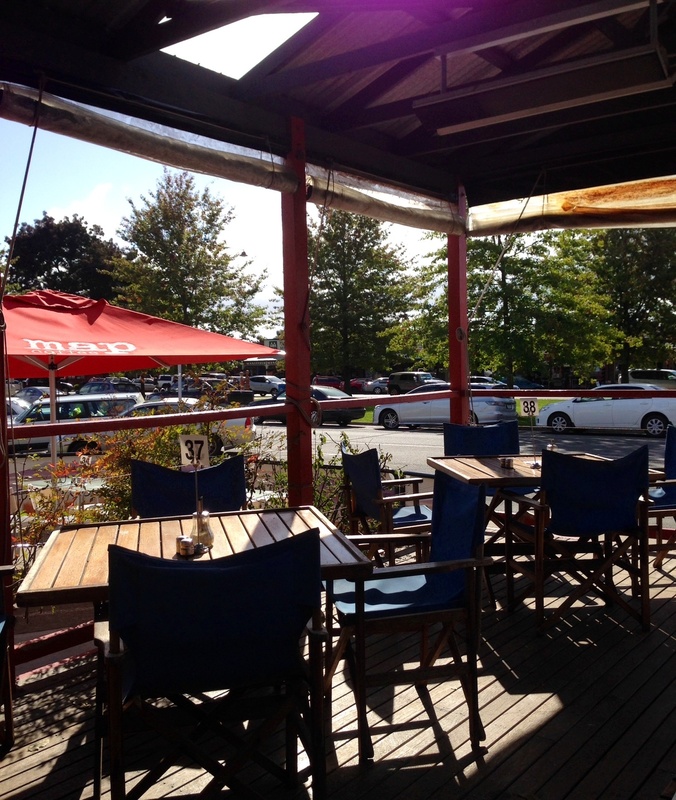 Here are a few more shots of the location and outside deck area. 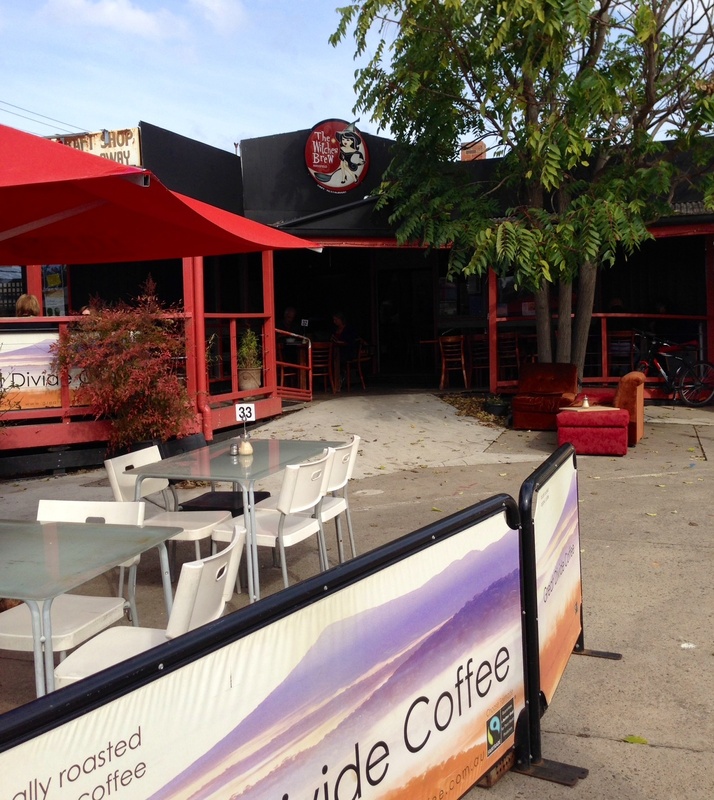 This place has the best location to check out the comings and goings of this thriving little country town. It has more Land Cruiser’s parked along the two sides of the Main Street than a Toyota dealership! We fit right in. 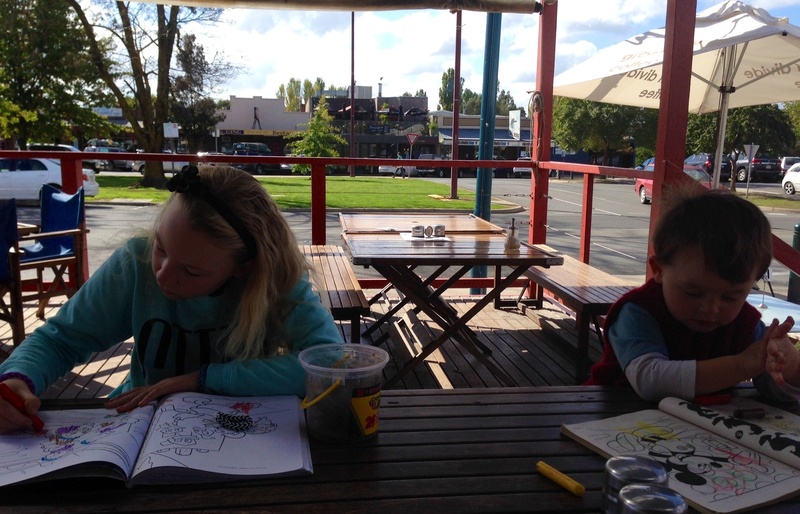 The kids got the colouring in books and crayons which kept them occupied while we waited. 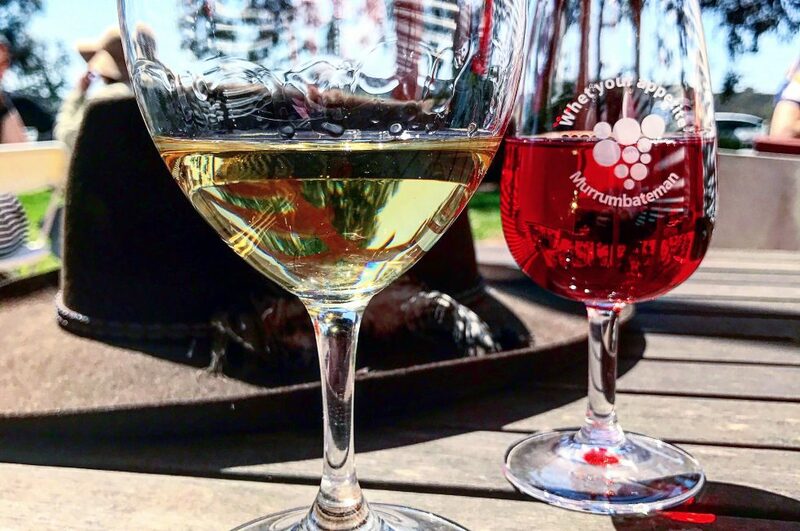 There were also a number of deli’s and wine shops selling local produce and I was quite keen to check them out, but with a Cruiser full of stuff, and two kids weary from travel, I decided against it. Will definitely head back, sans children, to go through all the great little shops there. 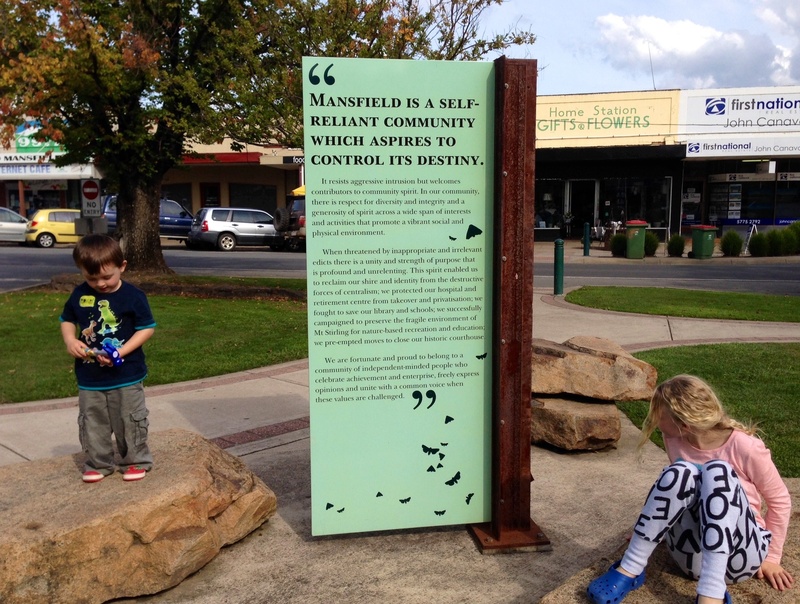 If you get the opportunity, check Mansfield out, it was a really pretty, very engaging town. Next Post Potato and leek soup, with whatever is in the bottom of the fridge. I love visiting country towns. Filling food like pies and bakeries seem to do well. But yes I know what you mean, sometimes coffee is the casualty! Thankyou for your kind words. 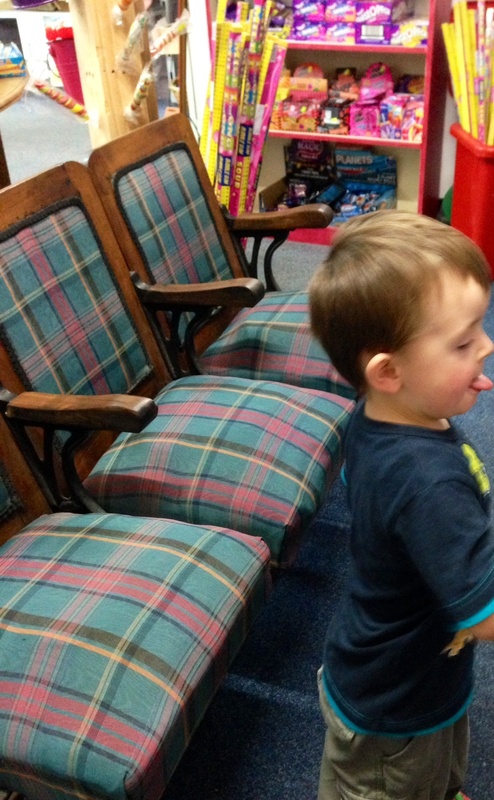 We love having people visiting our town and especially enjoying themselves in our shop. We look forward to welcoming you back to Mansfield another time – make sure that you drop into Mansfield Sweets! Absolutely, Claire, the kids wouldn’t let me miss it, now they know it’s there!